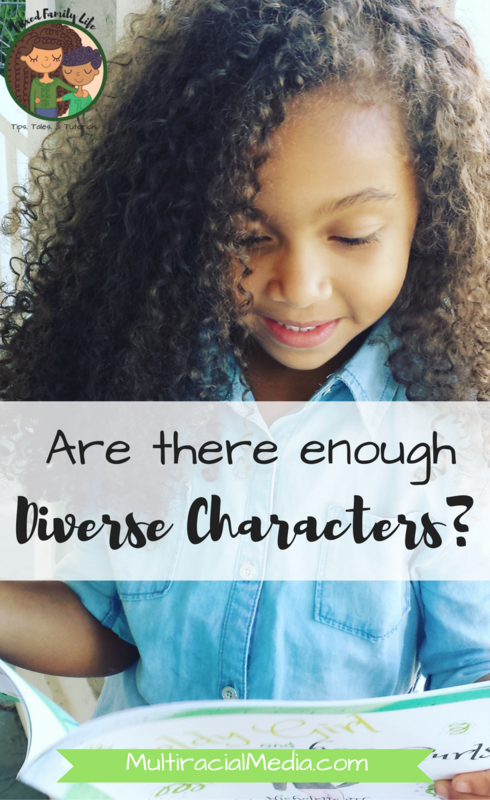 Is there enough Representation of Diverse Characters for our Kids? Recently (within this last year) Nella the Princess Knight came out and it was the first multiracial cartoon character I’ve seen on TV. It really solidified my belief that we need more diverse characters for our kids to look up to. Not only for multiracial and/or children of color, but for all kids to learn that POC are not the ‘OTHER’. We need kids to see that people being different is a good and NORMAL thing. What are your thoughts on this? Do you think it is really that important to have character’s of color for our kids to see in children’s books and on TV (shows, movies, etc)? Personally I think it is so incredibly important for kids developing self-esteem to see others that look like them represented. #RepresentationMatters so much, and for a kid to only see only white people/kids in books and in movies and shows, it really impacts them. This post may contain affiliate links but opinions are all my own. My daughter told me a few years ago that she wanted straight hair like me. I decided to make it a mission of mine to find curly haired characters in books, on TV, and in movies for my daughter to see that curly hair is beautiful. What I didn’t expect was for it to be so difficult. Even Nella the Princess Knight has basically straight hair! Any time I find a book that showcases a kid of color or a curly-haired main character, I try to buy it for my kids. 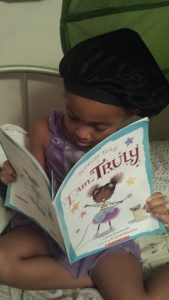 One of my recent favorites is Princess Truly in I Am Truly. My daughter purchased it through her school book fair. It not only showcases a little girl of color with curly puffs doing amazing things (i.e. “I can be a scientist”), but it also was written and illustrated by 2 moms from multiracial families. I am so in love with this book right now and I think you will be too! Since great books featuring kids of color, especially multiracial kids, has been so hard for me to find, I decided to write my own children’s book series. They are based on a character named Goldy Girl (my daughter says her and her brother’s skin is “golden”). 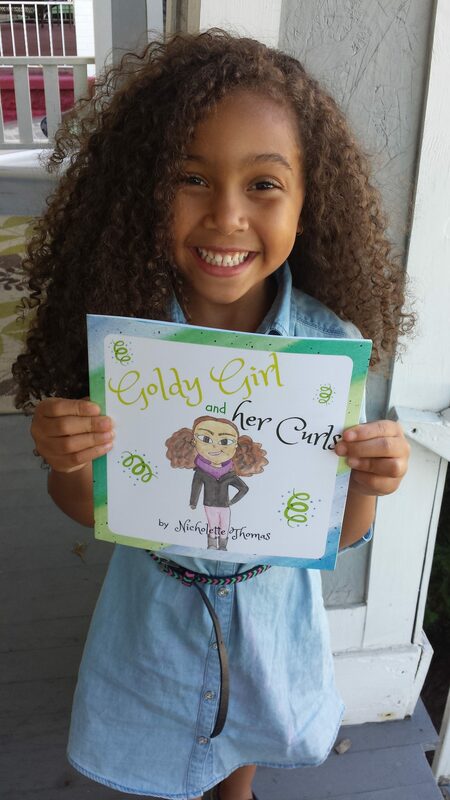 The first book in the series is called “Goldy Girl and her Curls” and it is focused on teaching little kids to love and take care of their curly hair. My hope is that through a fun book, kids and maybe even their parents, can learn to love and keep their curls healthy. What are you thoughts? Do you agree that it is important for kids to see themselves represented in books and in digital entertainment? Or do you think it doesn’t matter? Let me know in the comments. 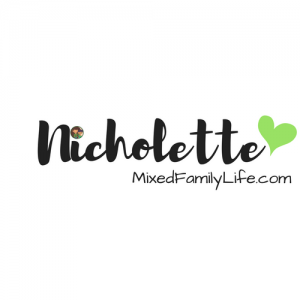 Don’t forget to check out Mixed Family Life if you enjoyed what you read to see more by Nicholette as well as her other posts on Multiracial Media. Also consider donating a pledge to “Goldy Girl and her Curls” Kickstarter so it can become a reality for more curly, multiracial kids out there. Two Multiracial Sisters Writing: Think You Don’t Have Time to Write? Make the Time!